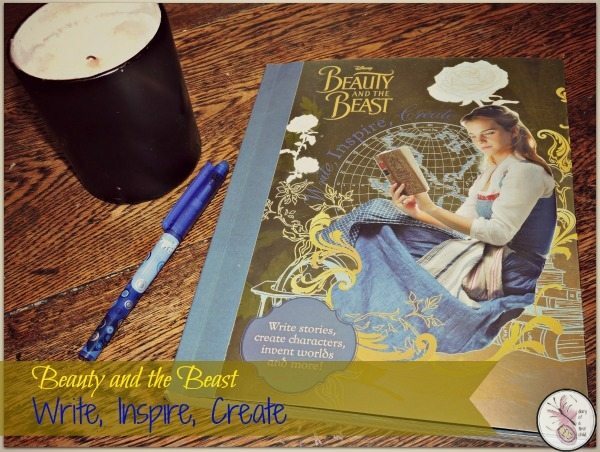 When I first saw the Beauty and the Beast Write, Inspire Create, I thought it would be a fantastic follow on from My First Story Book Ameli used during National Storytelling Week, so we nabbed the opportunity to review it. 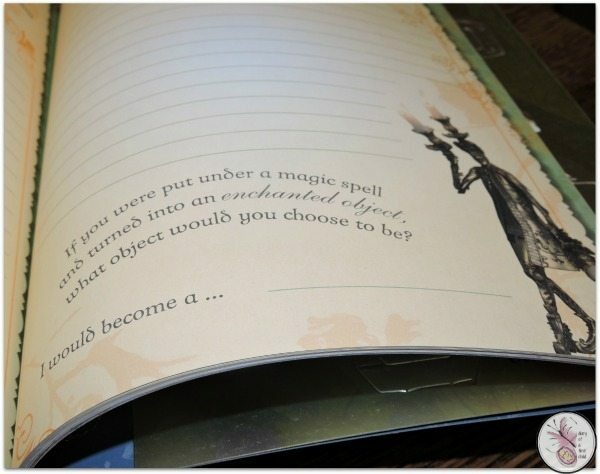 On arrival, however, I decided that while it’s a lovely book for her, I actually want to use it myself! 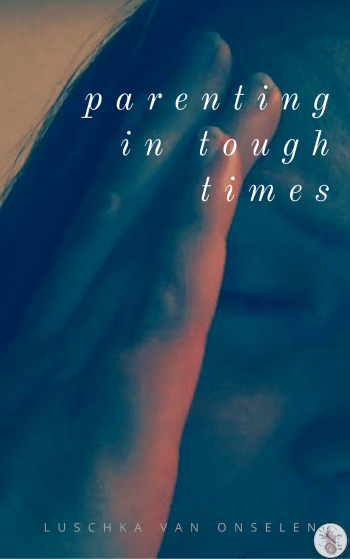 I actually did a BA in Creative Writing at University, many years ago, but with the advent of parenthood, marriage and all the other stuff that real life throws at you, I haven’t done any creative writing in more than a decade, even though I do miss it fiercely. The thing with creative writing is that you have to do it little and often – like exercise and healthy eating – to stay good at it, and while I’ve tried from time to time to go back to those University lessons, it’s been overwhelming, and when faced with dishes, laundry, and the other elements of a life such as mine, the opportunity frequently fades away. So, I decided that I was going to take Write, Inspire, Create for myself, and use it as a gently walk for my brain, to see if we can get those creative juices flowing again. The book is beautiful. It’s as beautiful as the new Beauty and the Beast movie, frankly! The pages are richly illustrated in golds, yellows and blues, floral designs, noted paper and other beautiful embellishments. 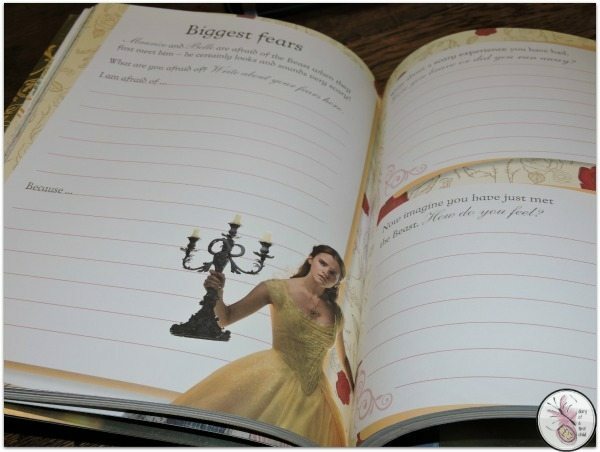 The book is also filled cover to cover with dozens of exercises, from building characters to creating their back stories, to creating plot lines, and settings, there are enough exercises in the 160 pages of the book to keep you busy for months. 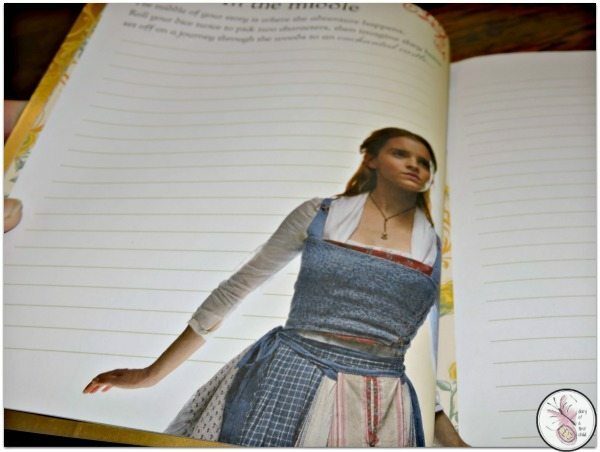 Illustration-wise, this book is basically a photo album of Emma Watson as Belle, but even though she’s almost young enough to be my daughter, I find her such an inspirational person, and can imagine the pride I would have in her were she my daughter, that I don’t mind having images of her dotting the pages, looking beautiful, wistful and curious and being quietly inspiring. I love this book. I know it’s aimed at 8 – 12 year olds, and that’s great for them. 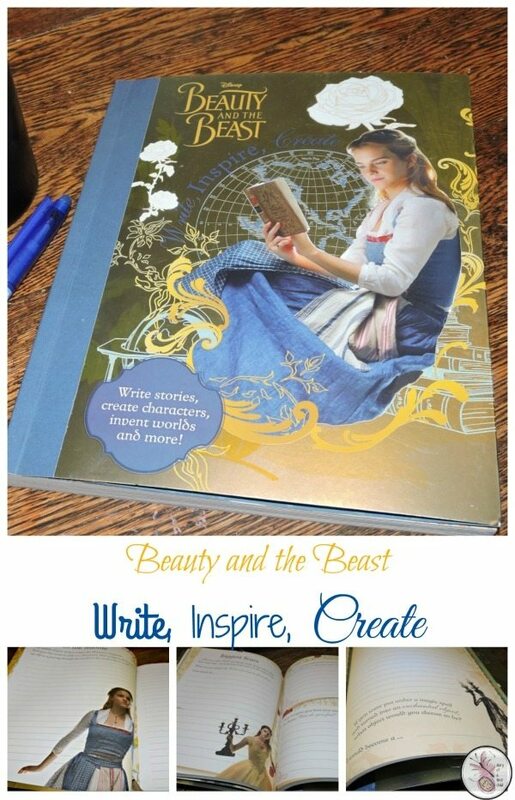 I know my 7 year old would have loved it, if I let her, but I haven’t, because for once, I’m putting my own desires first and using Beauty and the Beast Write, Inspire, Create to do just that, for me. This book can be found in major book stores, or at Amazon UK and Amazon US.